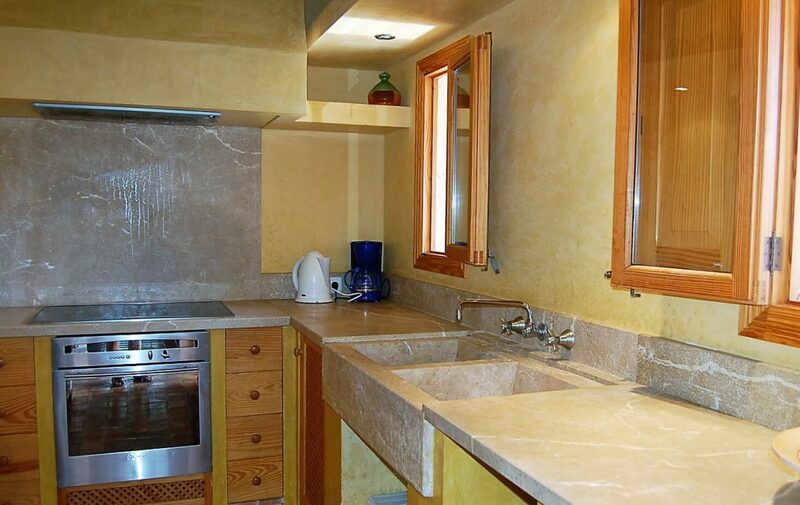 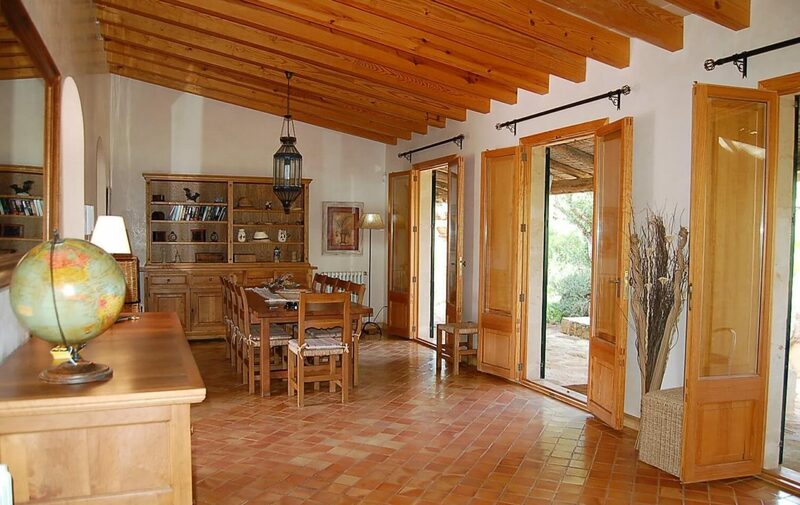 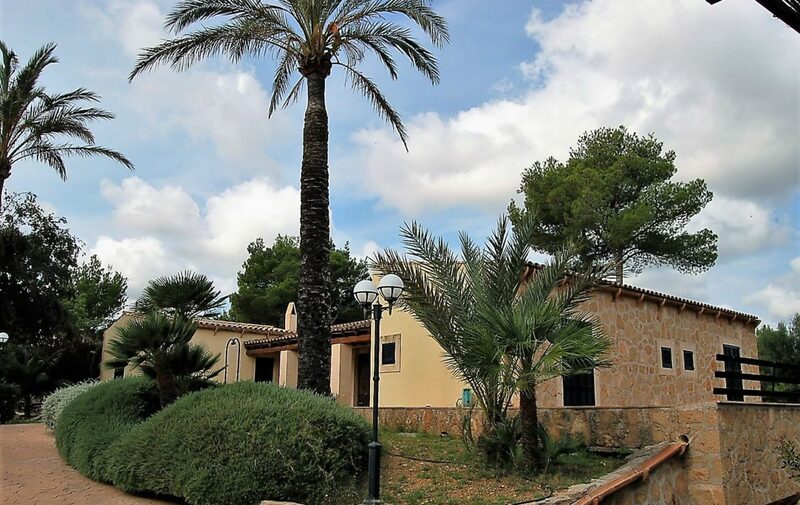 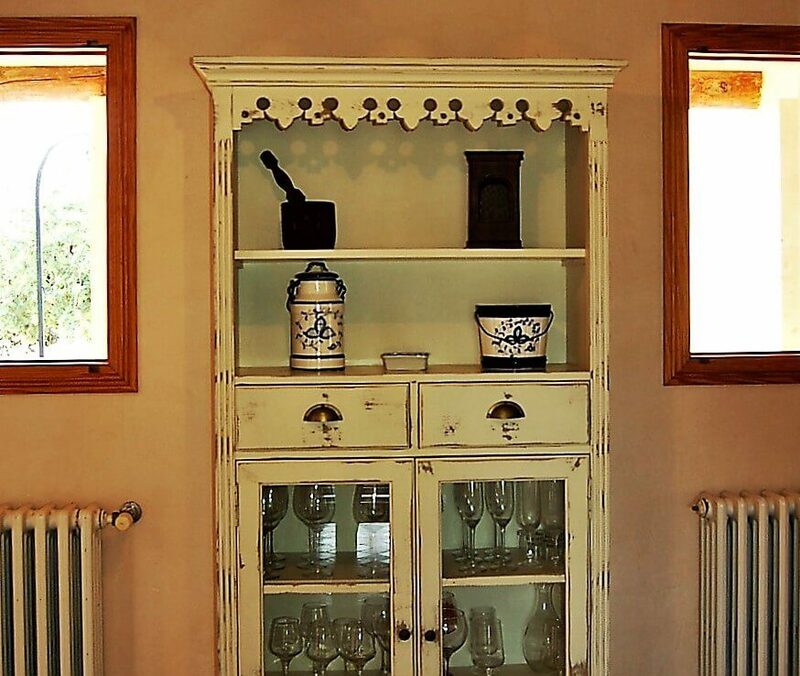 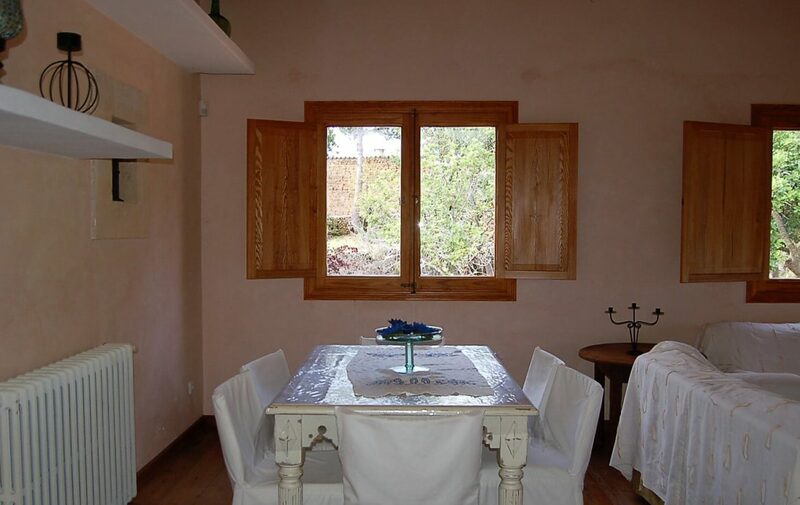 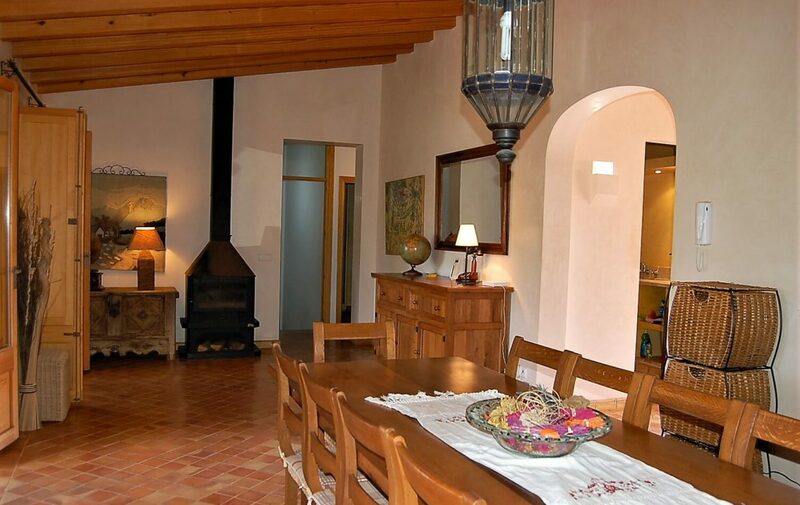 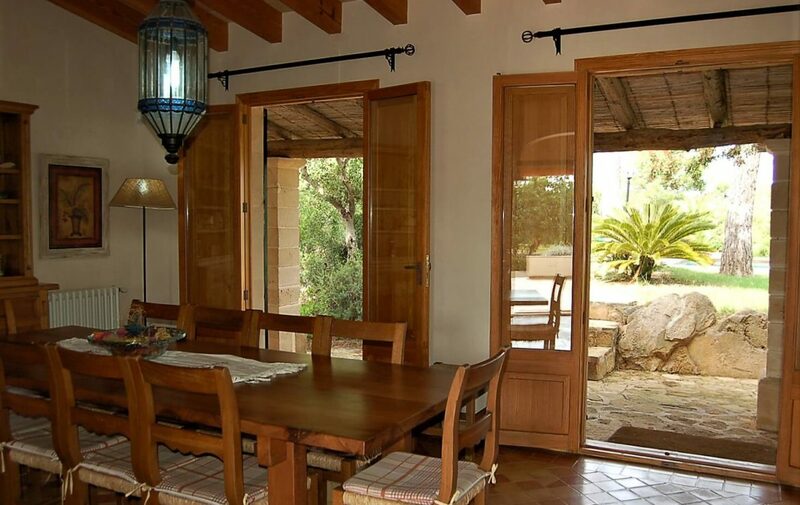 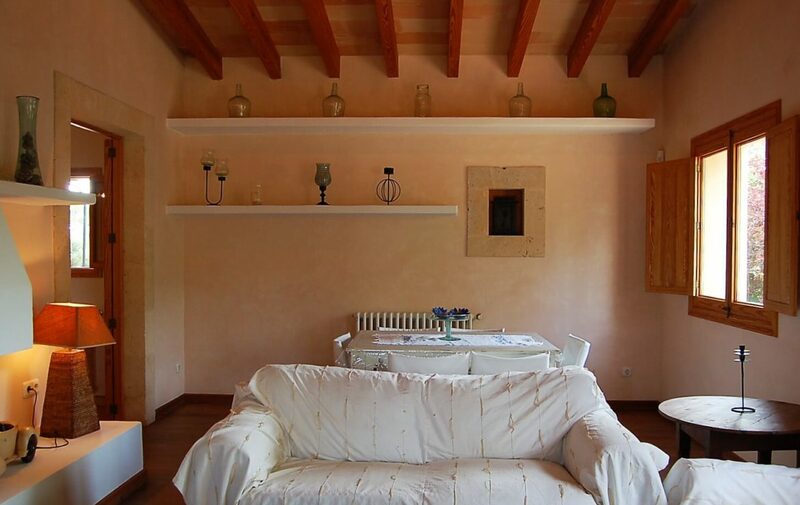 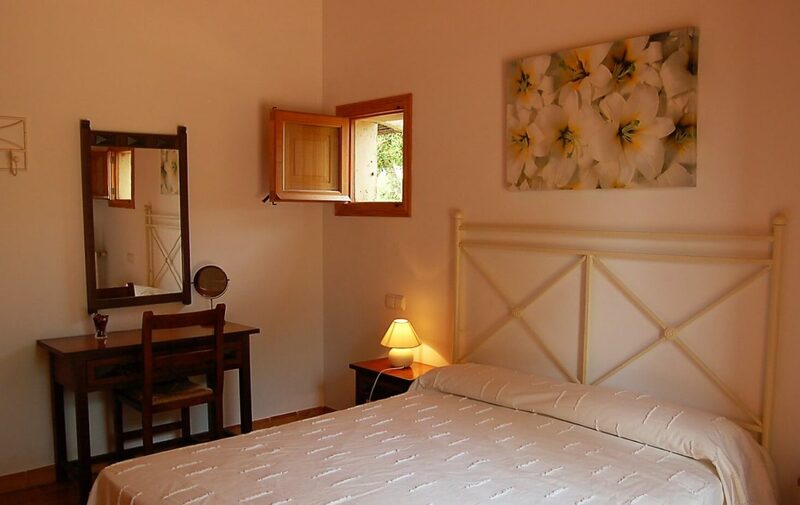 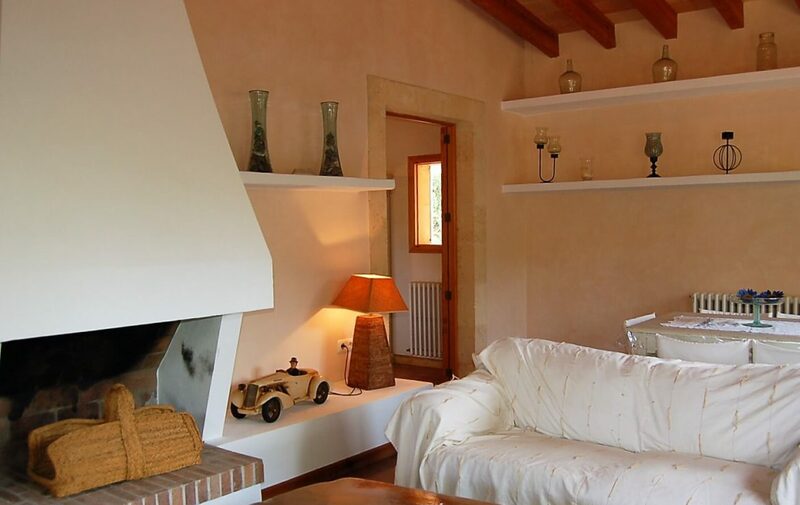 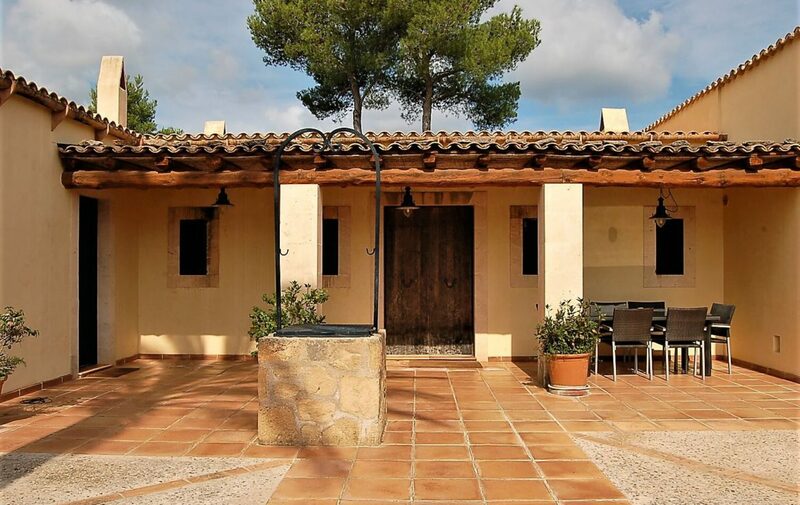 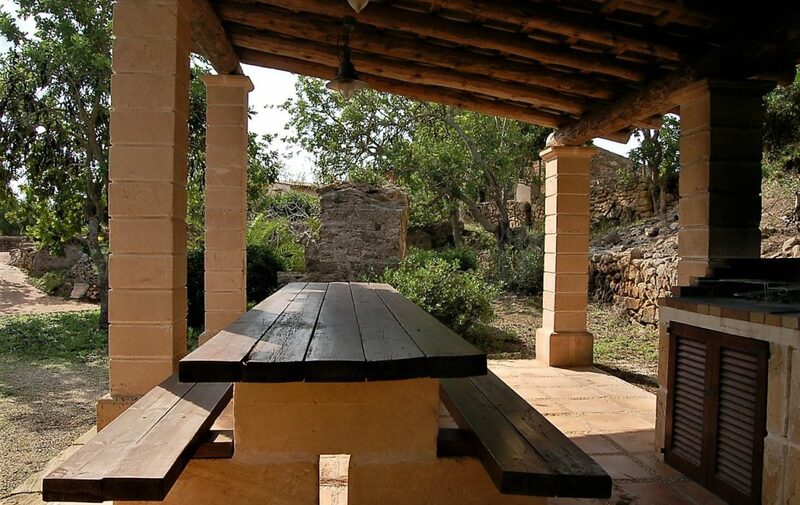 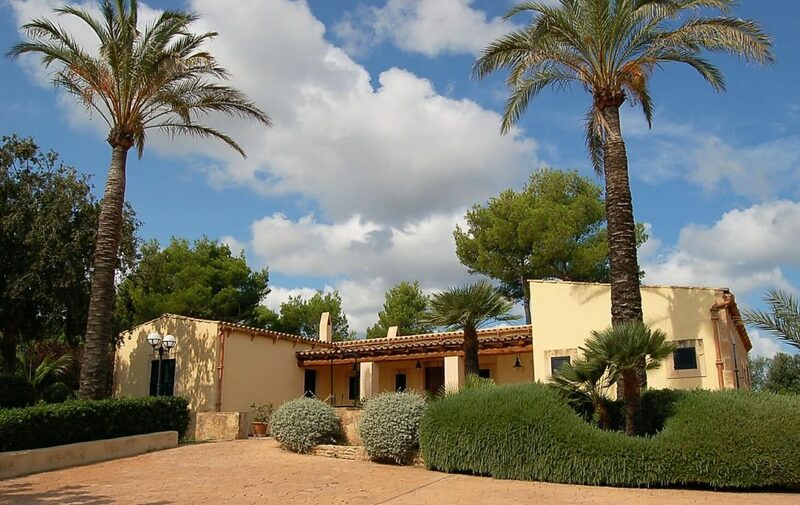 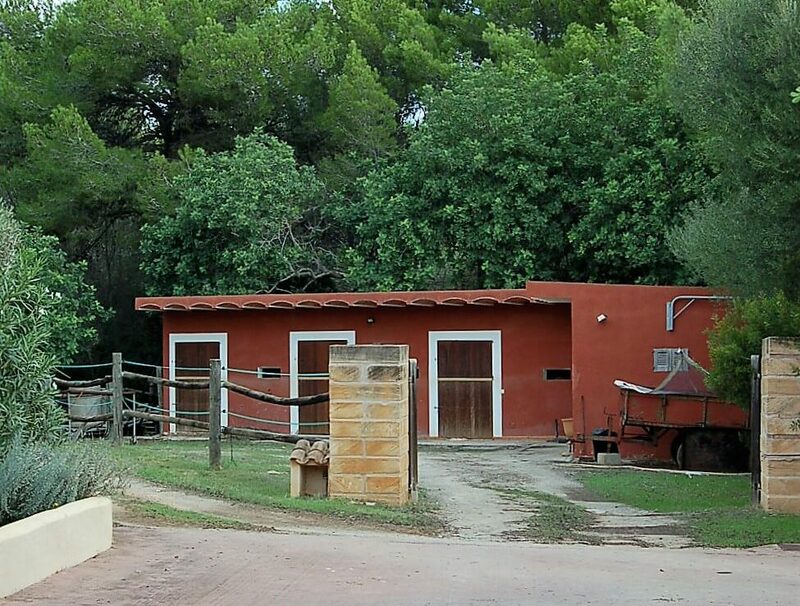 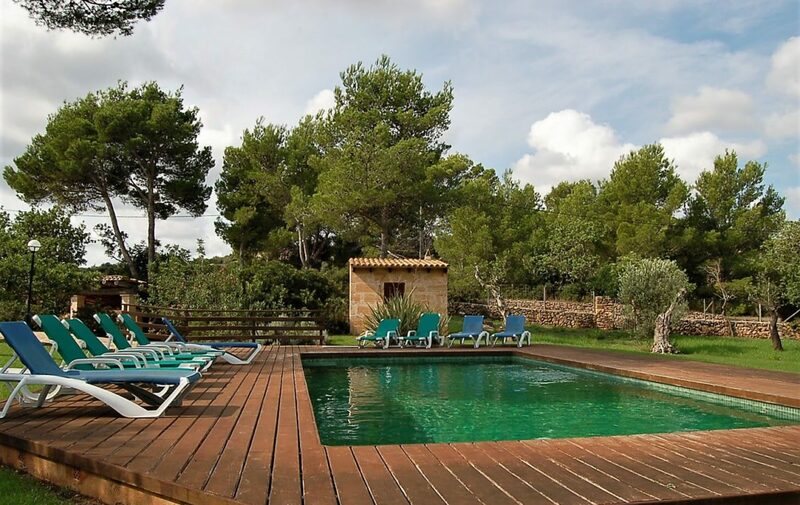 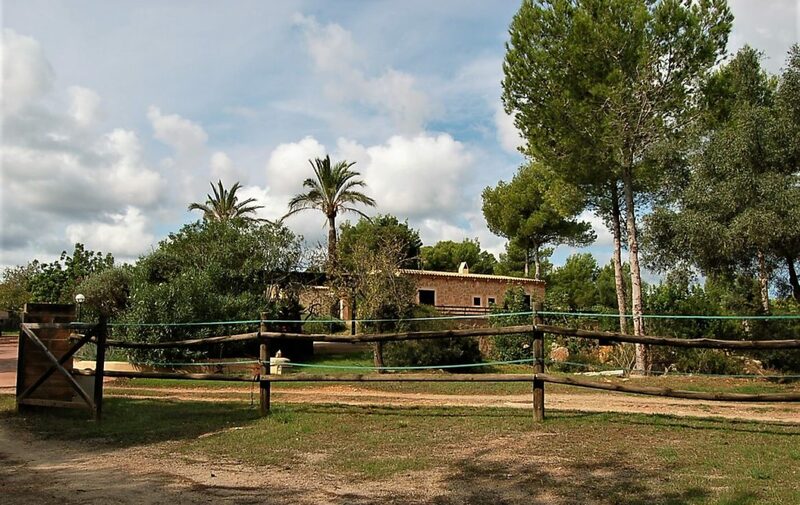 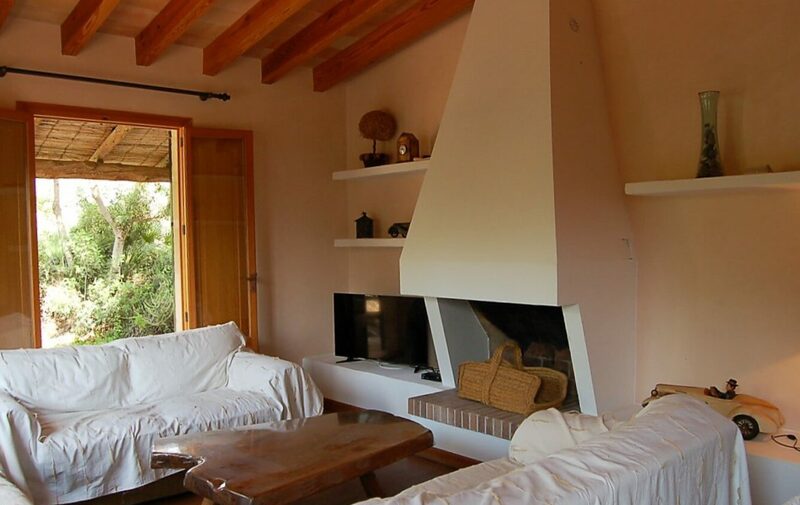 Beautiful rustic house only 900m from the idealic beach of Cala Agulla. 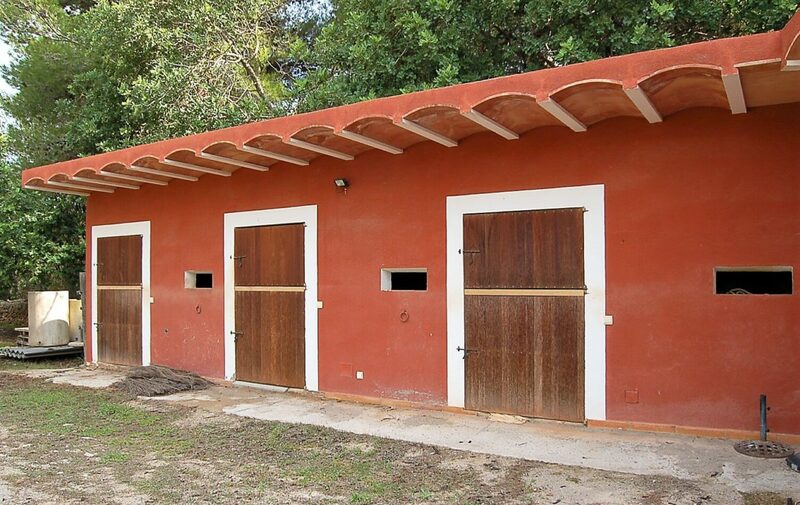 With three blocks for horses. 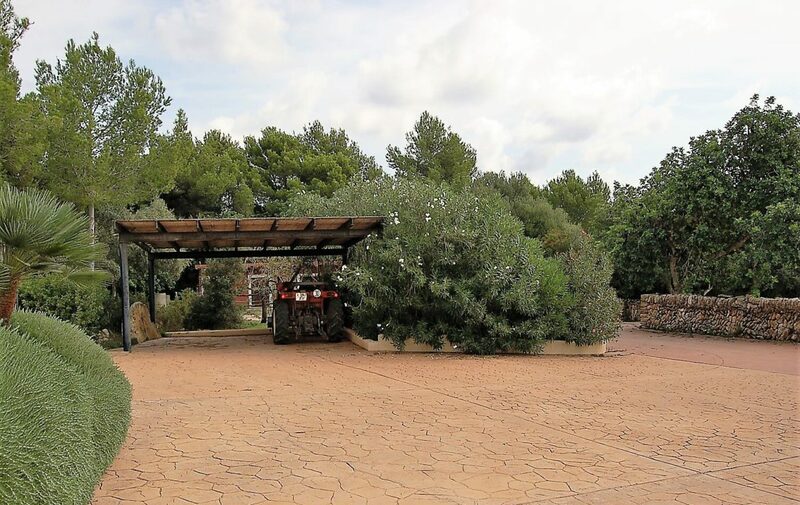 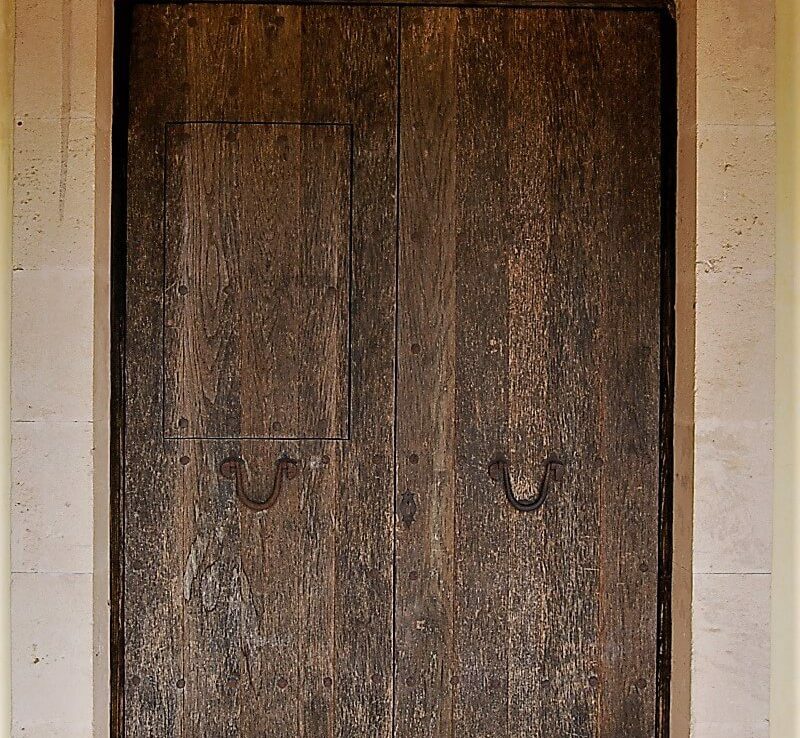 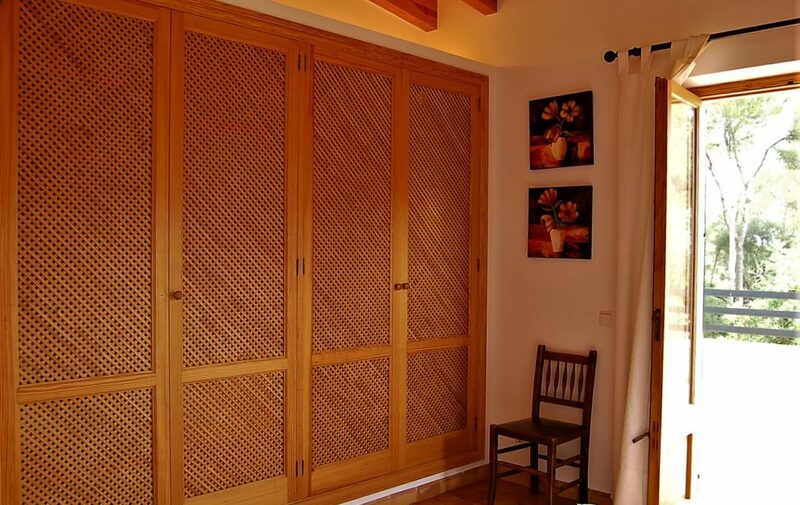 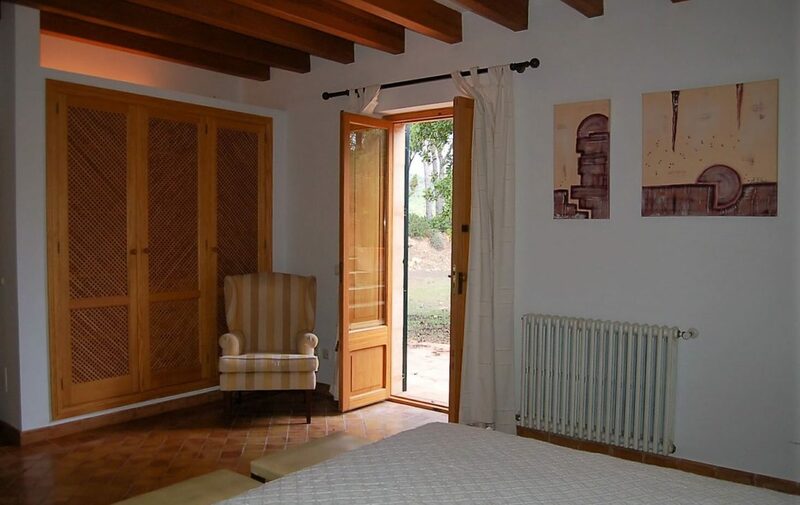 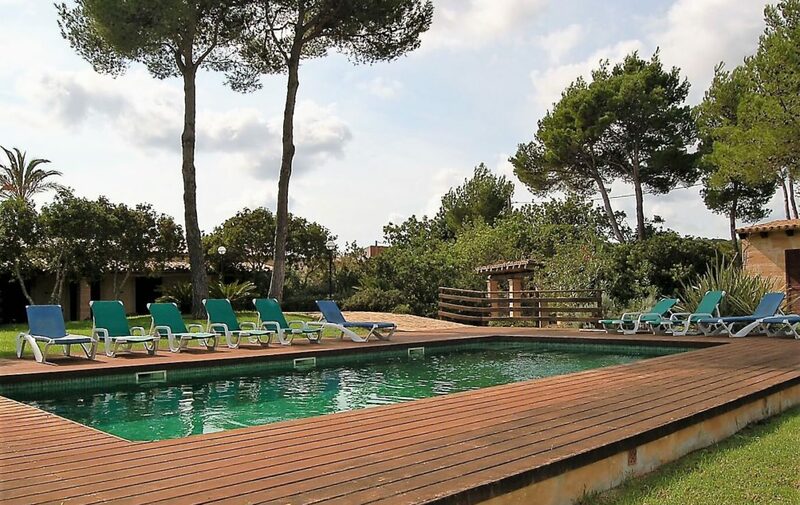 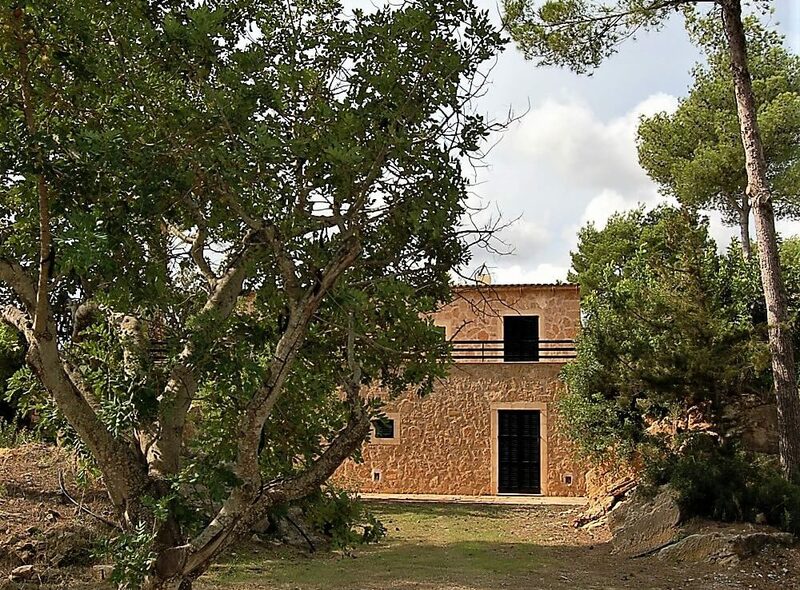 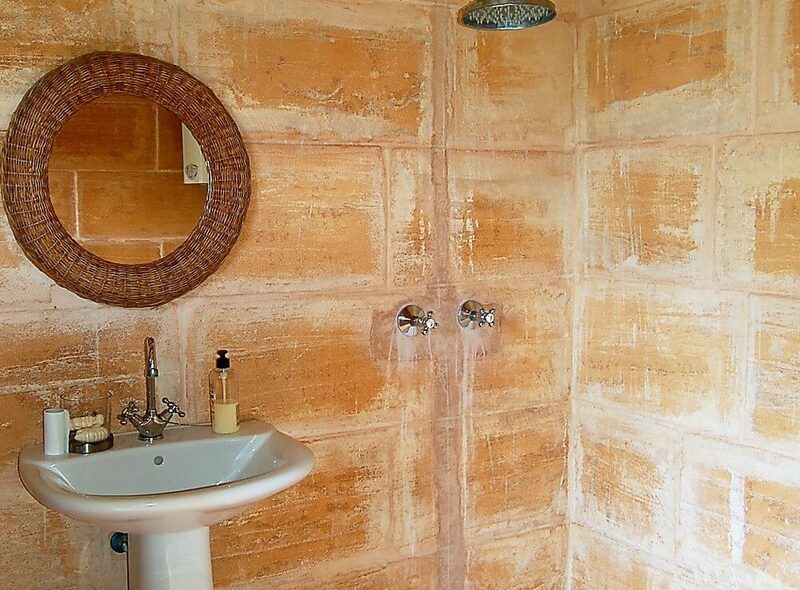 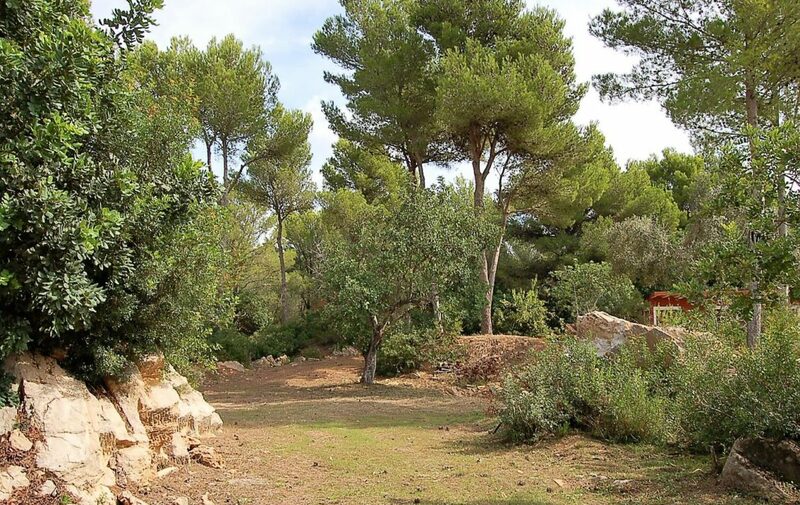 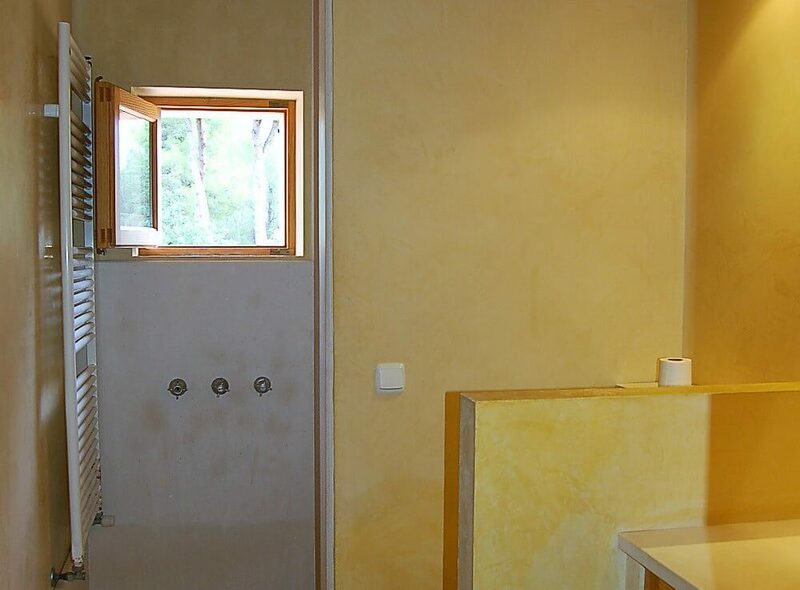 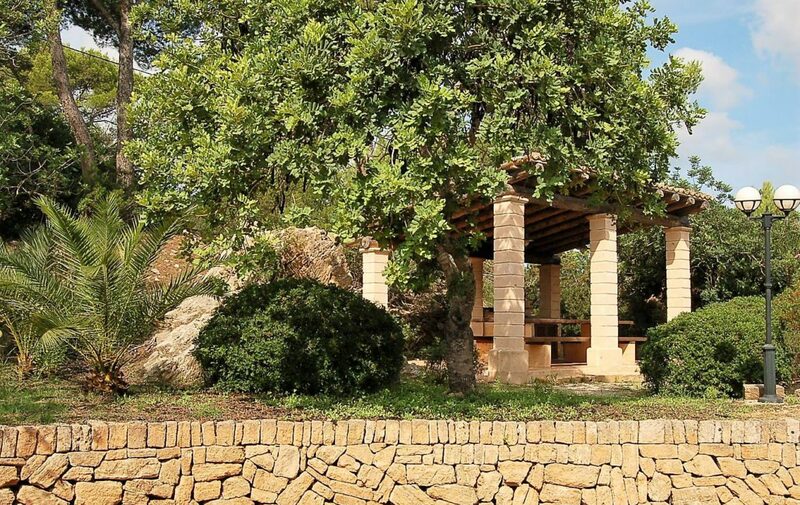 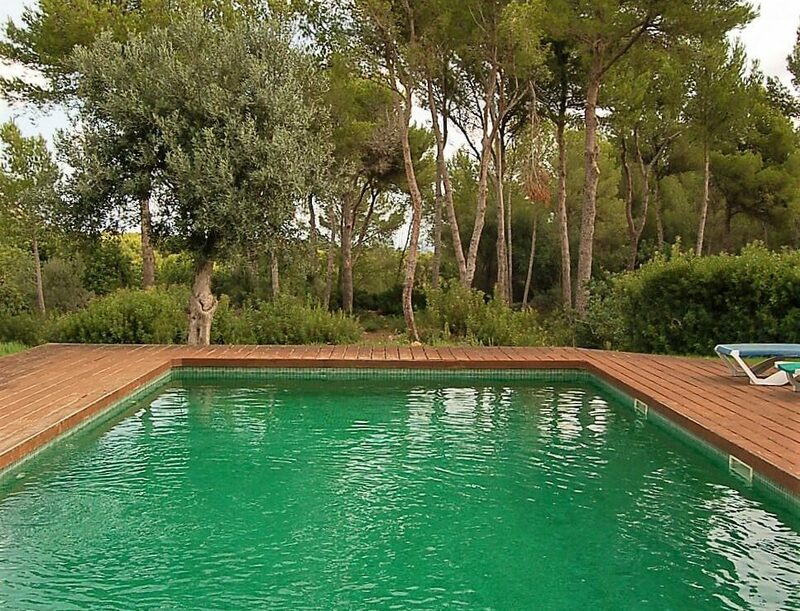 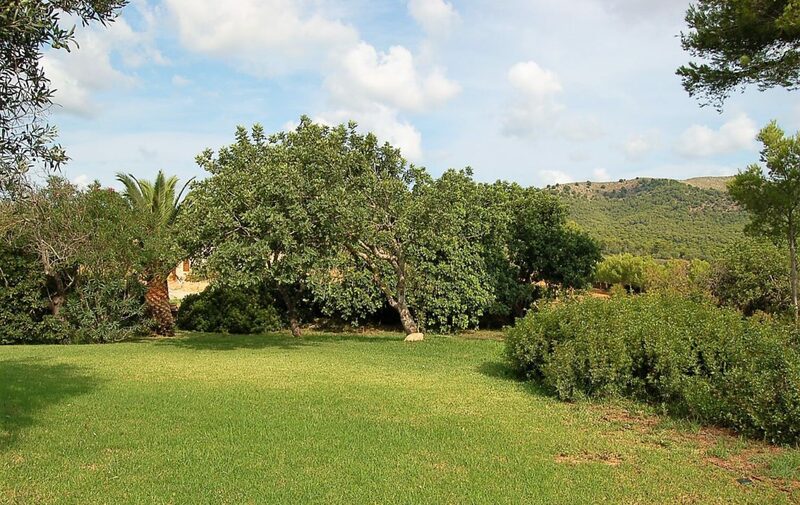 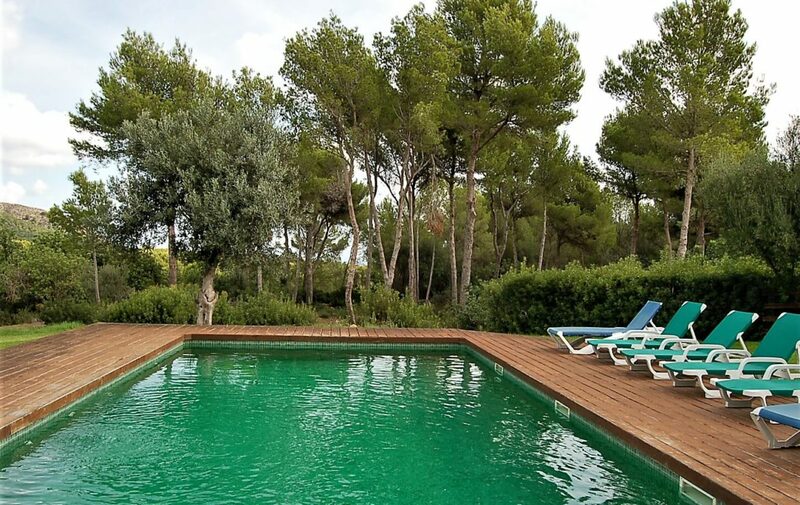 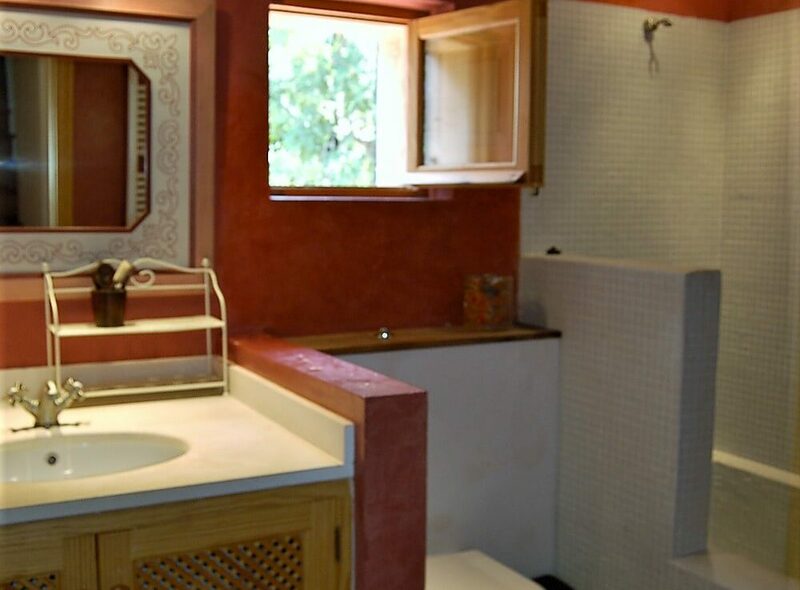 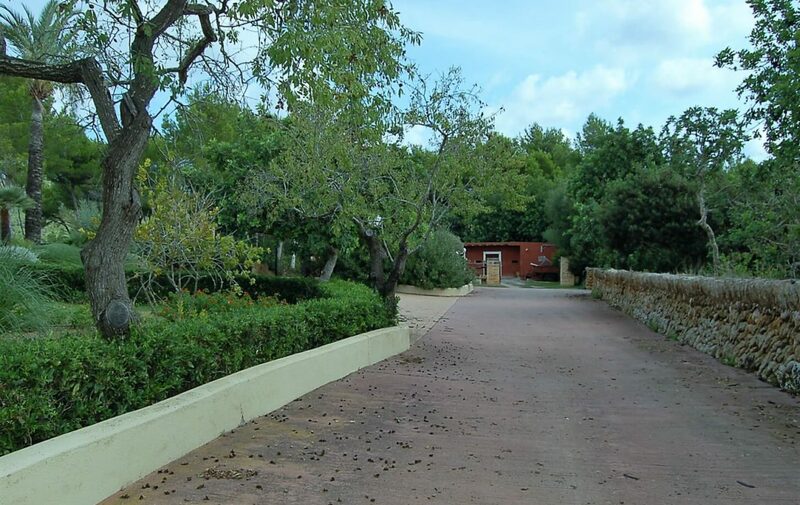 The Mallorquin style house of 400 m2 is located on a plot of 7 hectares of native trees and plants. 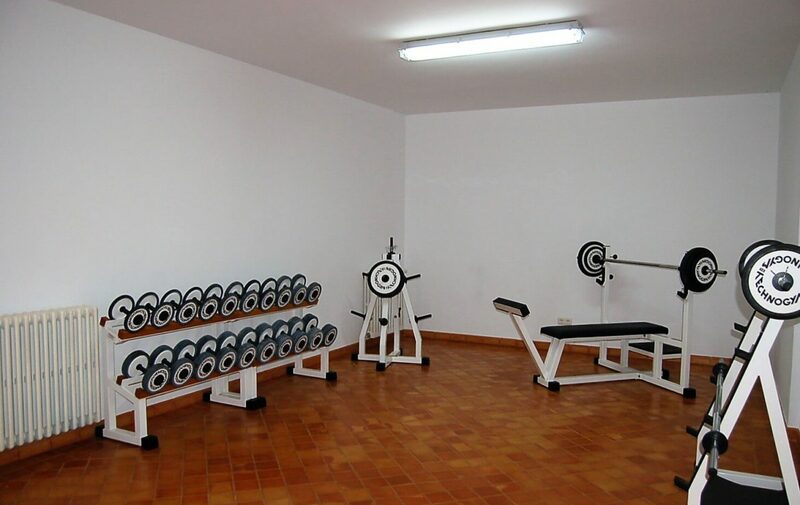 100 m2. 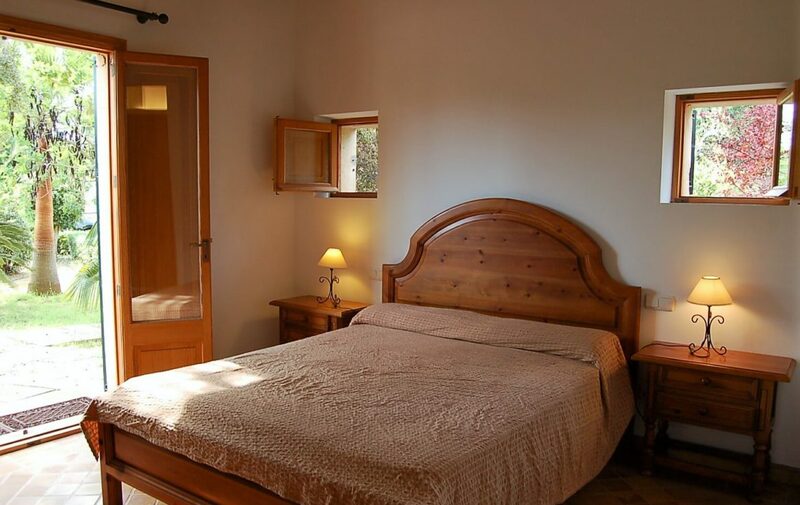 The accomodation comprises of two living rooms, one with stove and another with an open fireplace, dining room, fitted kitchen with stone sink, large laundry room, 4 double bedrooms all with fitted wardrobes, dressing room and exit to terrace, two bathrooms, one with bathtub and another exterior guest room with en suite bathroom. 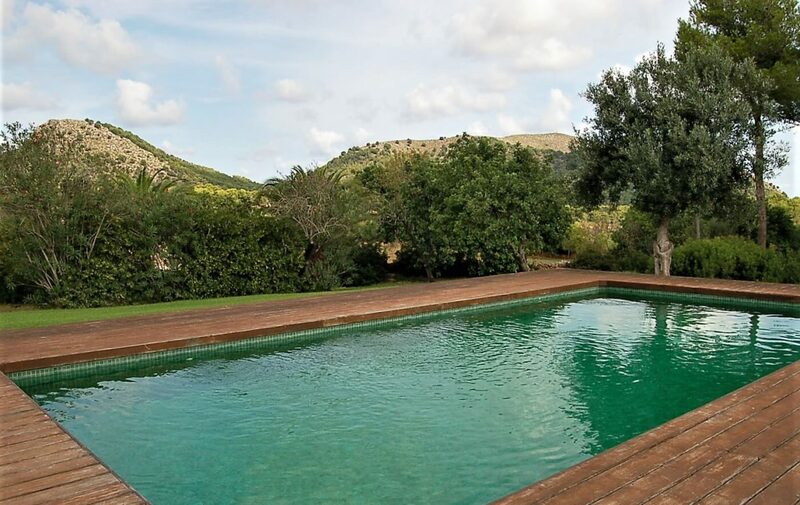 The garden has a beautiful swimming pool of 10x5m2, with teak decking, surrounded by grass, which has an automatic irrigation system. 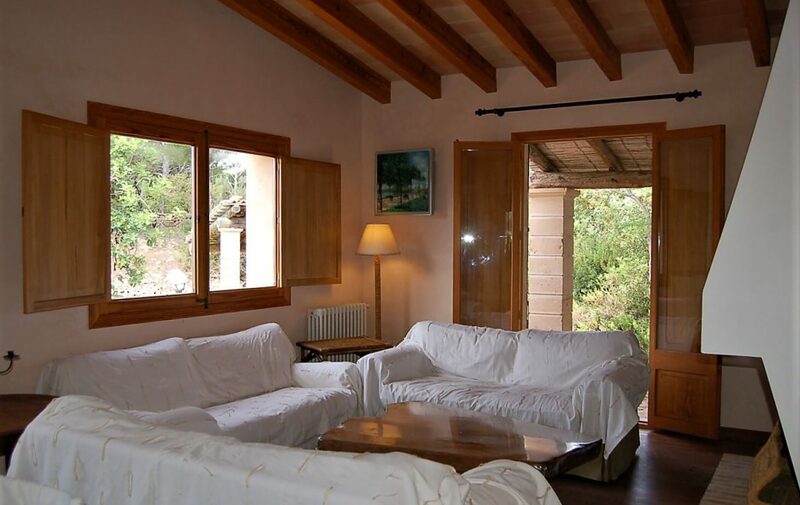 and with partial sea views. 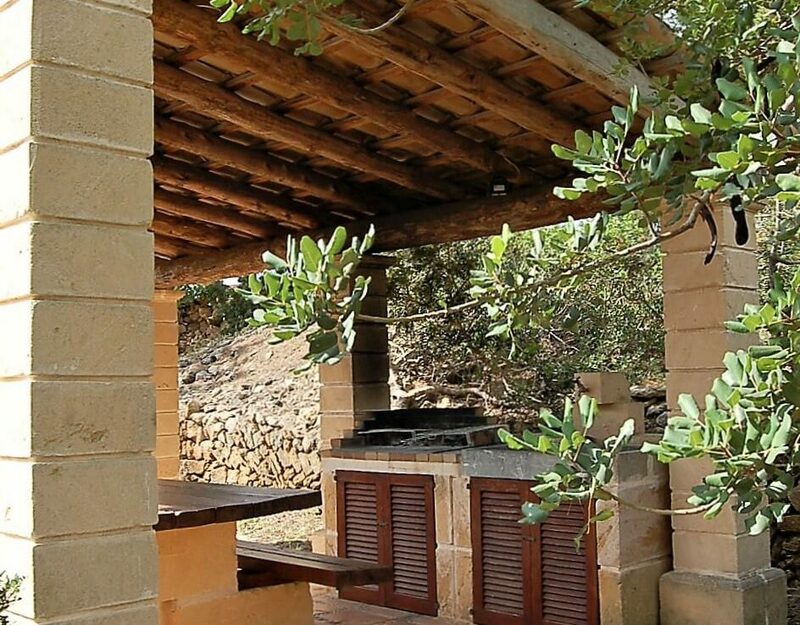 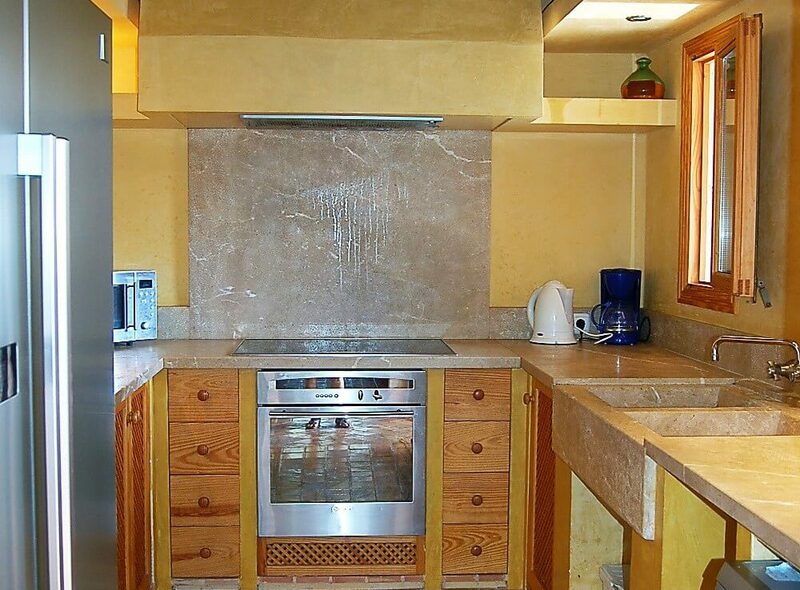 In addition there is a barbecue area with space to eat, cellar and covered porches around the whole house. 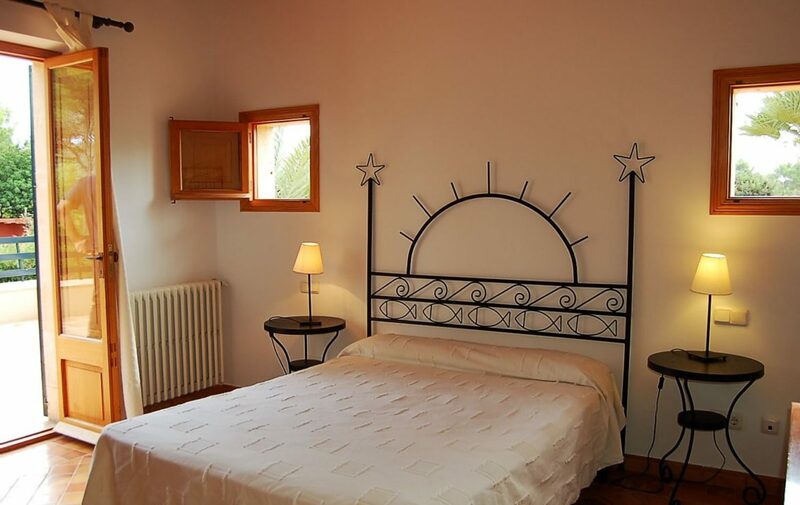 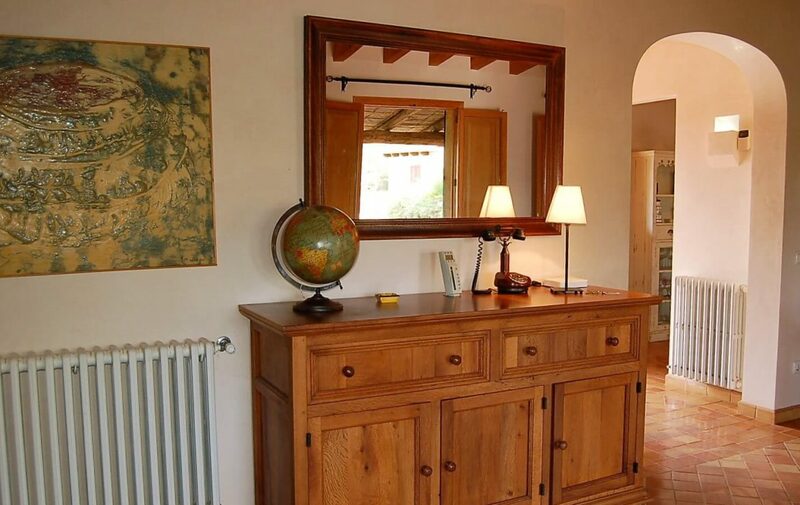 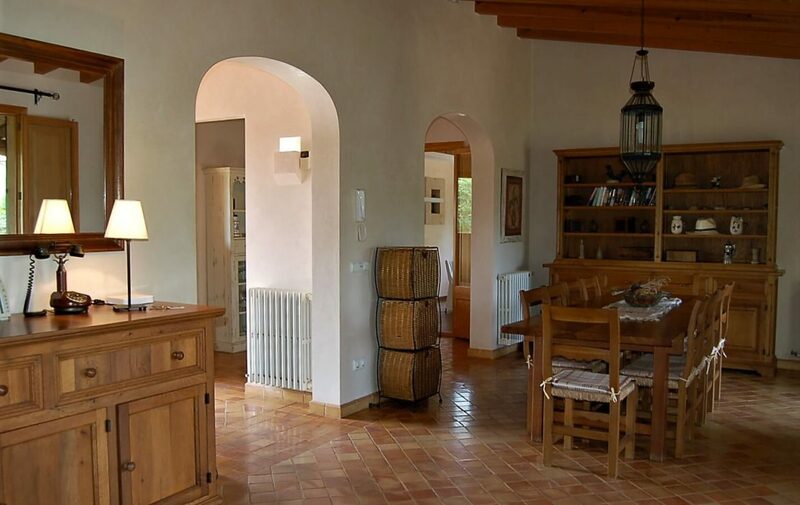 There is a gymnasium, another large room with the machine room, garage for 2 or 3 cars, gasoil heating and radiators, wooden beams in ceilings, some double height, authentic terrecota tiled floors. 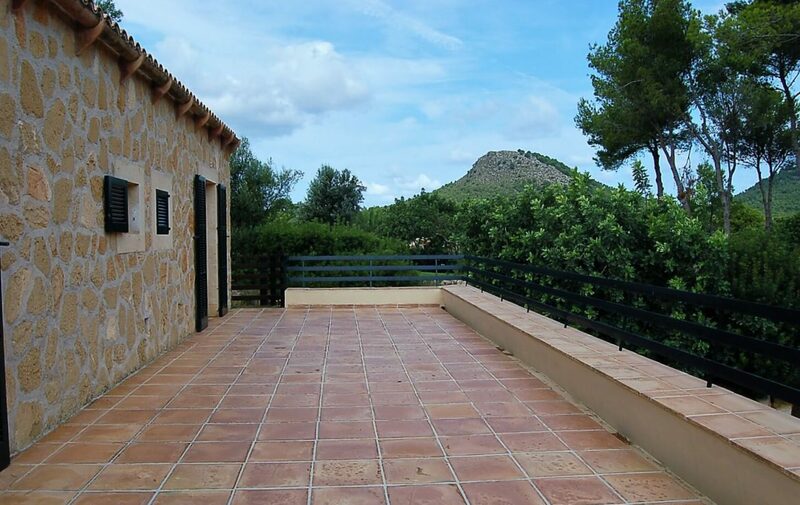 The house is reached by a paved road and is very well located and in a quiet area.